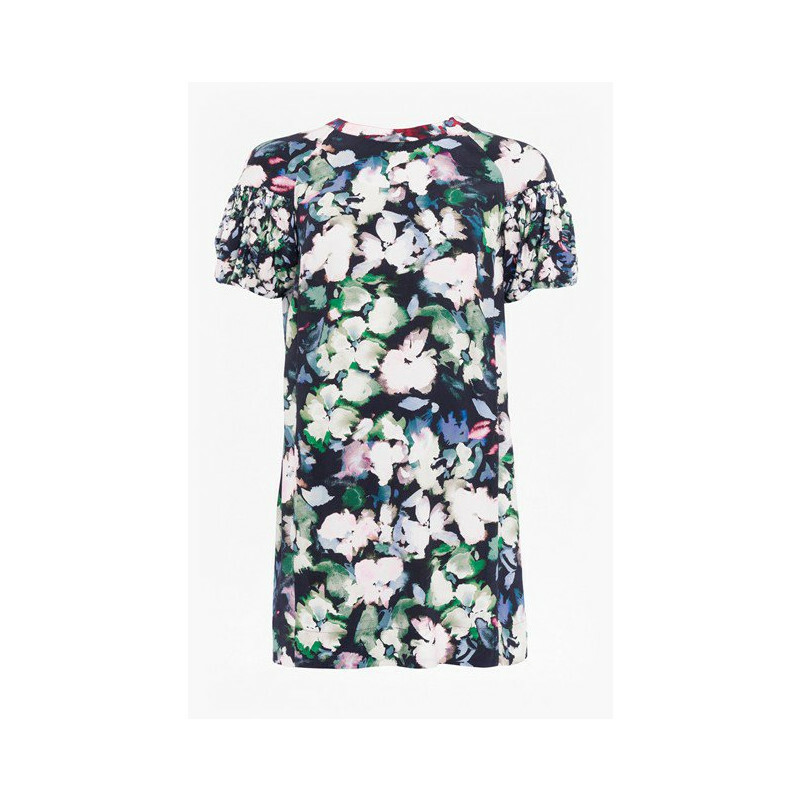 Dreda Drape Puff Sleeve Tunic from French Connection is aloose fit knee length multicoloured floral print tunic with puff sleeves. It has a round neck and a tie bow fasten at the back neck. The simple design makes this perfect for casual or evening look.